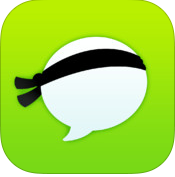 ClassDojo recently released a free mobile (iOS/Android) app for sending text messages to parents, Messenger. However, they just released their first big update for their widely successful app, Voice Notes. Voice Notes allows educators to send a quick audio note to parents to let them know how their child is doing. Teachers will now be able to instantly send home voice notes to parents using ClassDojo Messenger. Recording a quick voice note can be even easier than typing a message, and will only help strengthen the relationship between school and home. Voice Notes can be sent either as a broadcast to all parents, or privately to an individual parent. The biggest reason Voice Notes are important is one that teachers know very well: relationships with students and their parents need a very human touch. When parents hear the empathy, passion and excitement in a teacher's voice, much stronger bonds can form!